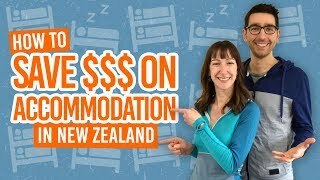 Couchsurfing is a popular accommodation option when travelling in New Zealand. The appeal of staying with knowledgeable locals for free and have them share all their tips with you is too good to pass on! However, couchsurfing has made the headlines a few times over the years for not-so-good reasons, which may make many of us feel concerned for our safety when couchsurfing in New Zealand. Like with many great concepts that have been created, the are a small handful of rotten apples using and abusing the system for mischievous purposes. The main couchsurfing organisation, couchsurfing.com, has taken great steps to solve the issue and reassure its users when it comes to safety. The organisation has even created a safety team in charge of monitoring incidents. All in all, the best way to stay safe when couchsurfing is to use a bit of commonsense and follow the simple tips below. By the way, have you read our guide to Couchsurfing in New Zealand? Hosts are required to create a full profile with pictures and information about them and their place. This is a great way to get a first impression of a host. Taking time to create a thorough profile shows dedication and care, which is representative of the profile-maker’s personality. On that note, your profile should be well-made as well. The most important thing to check on a profile are the “references”. “References” is the review system on the couchsurfing.com. This is where couchsurfers can share their feedback on a hosts and hosts can share their feedback on couchsurfers. Read them carefully so you know what you are stepping into. See 9 Things You Need To Know About Couch Surfing in New Zealand for more on the subject. If it seems dodgy, it probably is… It’s as simple as that. If you have a doubt, move onto the next host or your next option. For a smooth and comfortable couchsurfing experience, it is critical to only go into places that you have a good feeling for. There is nothing worse than trying to enjoy your travels when dread heading back to your accommodation for the night. It is important for you to know where you are going and what your other options are if something does not work out. For each host that you are about to visit, have one or two other hostels or accommodation options in mind as a backup. It would also be wise quickly check that there are a few public transport options for you to get there if you don’t have your own transport. 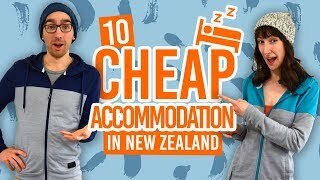 You might like to check some accommodation options at 10 Damn Good Alternatives to Hostels or 5 Ways to Stay with Locals in New Zealand. Kiwis (New Zealanders) are very relaxed and the New Zealand culture reflects that a lot, so it would be wise to not to be a cause of stress in a household. Some hosts may also be religious, old fashioned or simply very proper so be aware of your language as well, no swearing! For discussing your whereabouts and for any other communication between you and hosts, keep your communication on the Couchsurfing app or website. When you have met a host and are feeling Ok about it, you can exchange numbers, email address, Facebook, Twitter, Snapchat, pigeon mail, or whatever! Every time you head to a host, make sure that a couple of people know the address of the place you are heading to, the contact details of the host, and when you plan to contact your friend to let them you you have arrived/left safely. Always having somebody knowing your plans is as important when couchsurfing as it is when taking on a multi-day hike. Reporting on your experiences really helps hosts and couchsurfers alike. Tell everybody about the great time you had with a hosts, so more people consider staying with them to have a great (and safe) time. If you do have an unpleasant experience, it is critical that you leave a reference on the hosts profile so other couchsurfers are aware of what happened to you and avoid considering this host. If something really inappropriate happened, then you can even take it a step further (see below). The negative experience report system is fully confidential and helps the Couchsurfing organisation to keep its platform trouble-free. Couchsurfing is a great way to travel, not only in New Zealand but all across the globe, so it is critical to keep it safe for everybody to use and keep the great travel story going.